I ran a contest and only have one winner so far, so if you are interested, just email me! the first two who email me at rbenson30@wi.rr.com will get a $10 Gift certificates at SoundStageDirect! Just add 'Radiohead' to the subject line! i have just updated the 'upcoming record collectors shows' on the left margin, look and see if there is one by you! 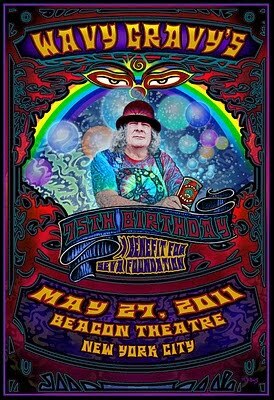 Wavy Gravy (real name Hugh Romney) will forever be one of the most remembered faces from the Woodstock Festival and has gone on to be a major peace activist along with a benefactor to the blind with the Seva Foundation and the clown prince of his Camp Winnarainbow. On May 15, Wavy will turn 75 and, to celebrate, a bunch of friends and admirers are getting together for two concerts in his honor. bloomberg.com has a great story, who doesn't love deep purple? President Dmitry Medvedev, an avid fan of Deep Purple, met the U.K. hard-rock group for tea at his residence outside Moscow yesterday on the eve of their concert in the Russian capital, Russian news wires said. On March 28th, Metallica are completely overhauling and relaunching their online presence, Metallica.com. The new version of the website will encompass other Metallica web properties like the fanclub-driven MetClub.com and MetOnTour.com, which will be combined into one big site to ensure easy access to all things Metallica. In the eyes of metal fans, Jethro Tull may never live down beating Metallica's '...And Justice For All' for the Best Metal/Hard Rock Performance Grammy in 1989 with 'Crest of a Knave.' Twenty-one-year-old Grammy drama aside, the Tull will celebrate the 40th anniversary of their essential 'Aqualung' album by performing it in its entirety on their upcoming summer tour. The band will also play other classics from its 30-album catalog to round out each night's set. The touring line-up features longtime members Ian Anderson (flute, vocals, acoustic guitar) and Martin Barre (guitars), Doane Perry (drums), as well as David Goodier (bass) and pianist John O'Hara. Goodier and O'Hara joined in 2006 after working with Anderson on some of his solo projects. You can call David Buskin and Robin Batteau media-friendly types -- both old media and new. Early in their careers they signed with major record companies that released their music on vinyl albums. 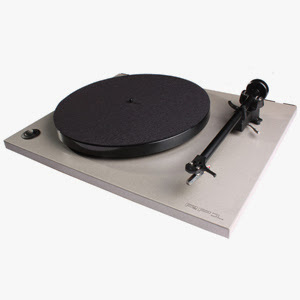 You remember those, the 33-rpm type that warped easily and required turntables and needles. And they're responsible for writing Clio Award-winning jingles like Batteau's "Heartbeat of America" for Chevrolet and Buskin's "We're NBC, Just Watch Us Now" in the '80s. These days, Buskin & Batteau, as they're known in contemporary folk circles, stream some of their performances live on the internet. They also host a radio show on WPKN that's streamed on the Web. "Some people said mp3s would cause the end of records, but they didn't." - Aaron Keele After 25 years in the record business, Leslieville resident Aaron Keele knows his way around vinyl. Growing up in the hip-hop era with a father who ran the venerable record shop Don's Discs, he fell in love with the musical medium and has parlayed that passion into a career. 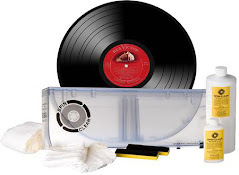 Keele and longtime friend Akim Boldireff are known as the Record Guys (www.therecordguys.com) and have carved out a niche as two of the country's leading experts on vinyl records and music ephemera. In 1945, Billboard Magazine published their first album chart with Nat King Cole's "A Collection of Favorites" named as #1. In 1958, Elvis Presley reported to the Memphis draft board. From there he and 12 other recruits were taken by bus to Kennedy Veterans Memorial Hospital where the singer was assigned army serial number 53310761. In 1963, the Beatles were the opening act for American Pop stars Chris Montez and Tommy Roe in the quartet's hometown of Liverpool, England. Bill Wyman was knocked unconscious by an electrical shock from a microphone stand in 1965. It was the first date of the Rolling Stones anniversary tour. In 1966, the New York State Assembly passed a bill making it a misdemeanor to sell unauthorized copies of records or tapes, commonly known as bootlegs. In 1991, the Black Crowes were dropped as the opening act on ZZ Top's tour for repeatedly criticizing Miller Beer. Miller Beer was sponsoring the tour. In 1997, 57 year old Harold Melvin, leader of the Philadelphia Soul group Harold Melvin and the Blue Notes, died of heart related problems. The group is remembered for their 1972, US #3 hit, "If You Don't Know Me By Now". In 2005, Rod Price, a founding member of Foghat, died after falling down a stairway at his home. The 57 year old guitarist was with the band for three Platinum and eight Gold records, including their highest charting US single "Slow Ride" in 1976.
and in 2010, Johnny Maestro, the lead singer for The Crests on their seven US Top 40 records, including the 1959, #2 hit "Sixteen Candles" as well as The Brooklyn Bridge on "The Worst That Could Happen" in 1969, died of cancer at the age of 70.
birthdays today include Shannon Corr (1970) and Nick Lowe (1949), among others.